System of Translation and Elevation of People. 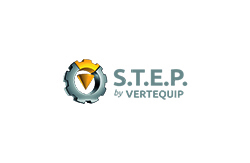 STEP is a patented technology that allows a worker to reach any part of a structure with a simple harness and a remote control. The risks of working at heights and its low productivity. This unique system provides a simple and practical way to allow workers, including handicapped workers and amputees, to work at heights more safely and efficiently. The system uses only one harness, moving workers both horizontally and vertically, while controlling everything by remote control. S.T.E.P is adequate for any type of structure, whether it is a building, bridge, silo, wind tower or even an oil rig. 40% cost reduction in cleaning and maintenance works. Lighter system to the structures.